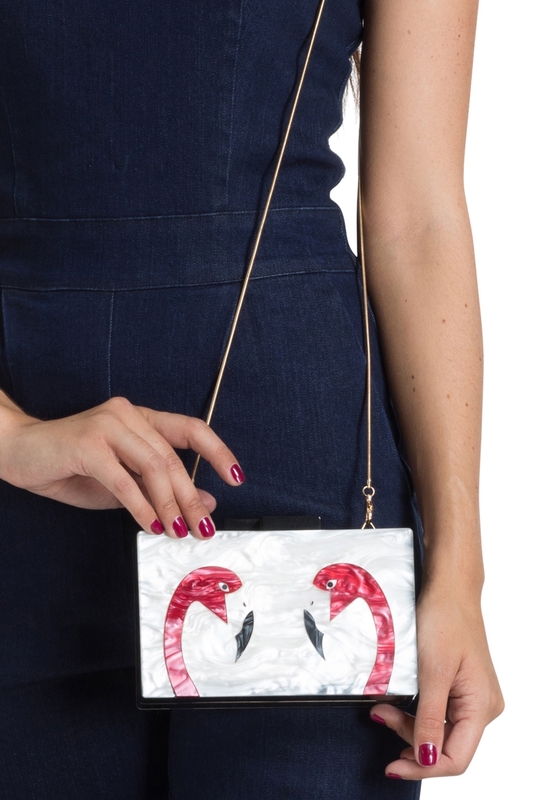 Our Flamingo clutch bag is totally flaming-goals! This adorable marble finish clutch is as retro as an accessory could be with its detachable gold chain strap and vintage box shape. 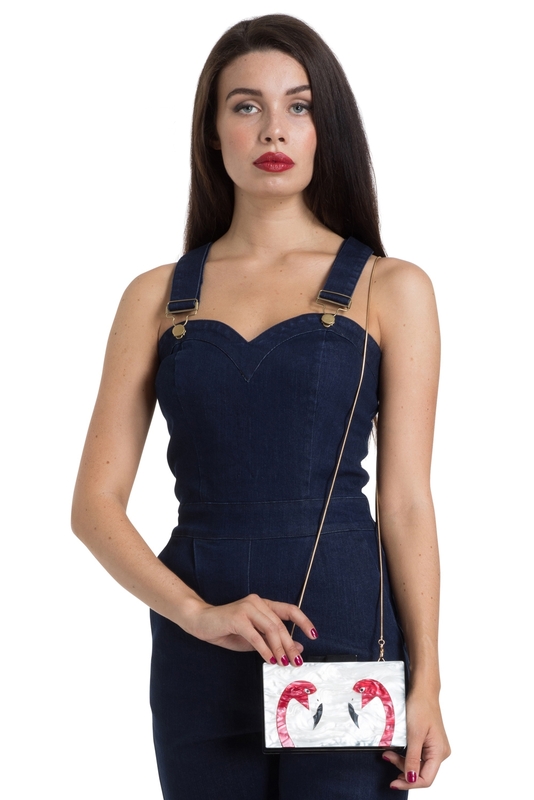 If you’re looking for that one gorgeous accessory to finish off your chic retro look, then there’s only one way to flamin-go.